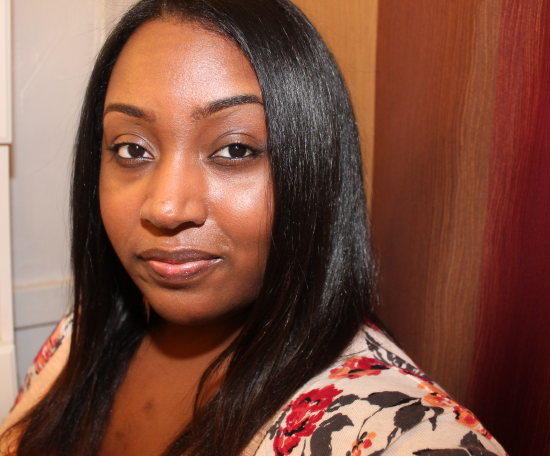 Karmin Titanium Pink Flat Iron Review + My First Time Straightening My Hair In 4 Months, Lots Of Growth! Those of you who've been keeping up with my hair journey know that I've been wearing my hair curly for quite some time now. Well, this year marks my 4th year of being completely natural! Up until now it's been exactly 4 months since I've last straightened my hair. 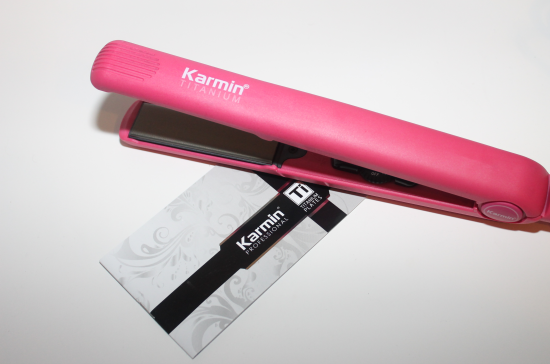 I was recently approached with the opportunity to try out the Karmin Titanium Pink Flat Iron. So I figured what better time to stretch my hair out and see just how much it's grown. If you're not familiar with Titanium plates let me just be the first to tell you that they are absolutely amazing!! Last year a friend actually introduced me to a pair of titanium flat irons by another brand and when I tell you that it changed my entire life -i'm not joking lol I haven't touched a ceramic flat iron since. The Karmin Titanium Flat Iron prides itself on having superior performance and even boasts on being one of the best flat irons you'll ever use. Well, did it live up to it's claims? Check my full review below to find out. 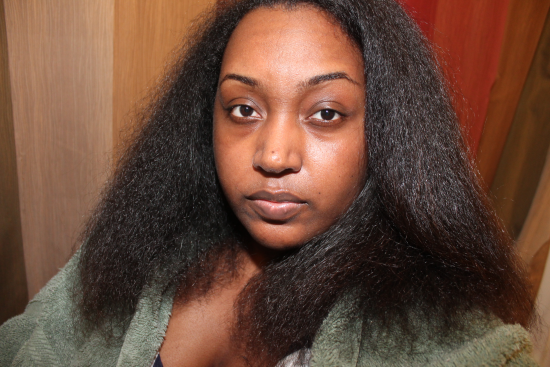 This is the before pic of my hair blown out right after washing. 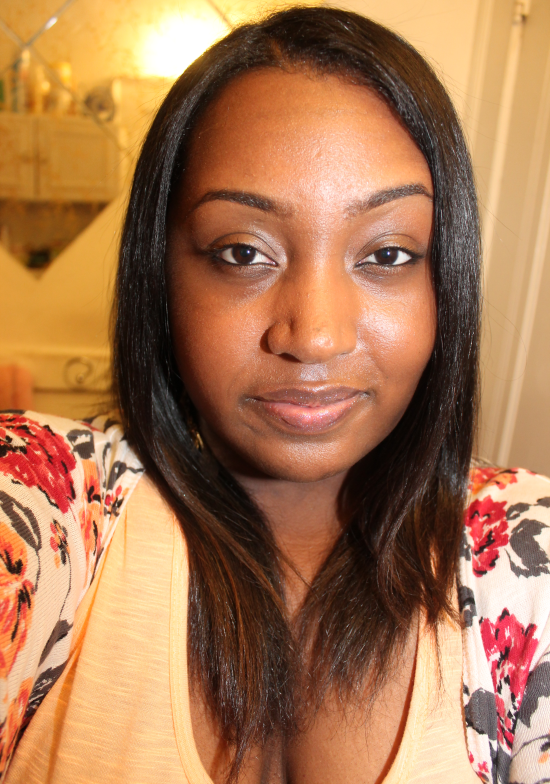 My results after flat ironing. I was really shocked at all the growth!! Glow: Anytime I get a new flat iron I always inspect the body and the location of the power buttons and temperature settings. On the Karmin, all of the settings are located on a turn style wheel in the inner part of the handle, I love that it's about a good inch way from the actual plates which minimizes the risk of burning yourself. 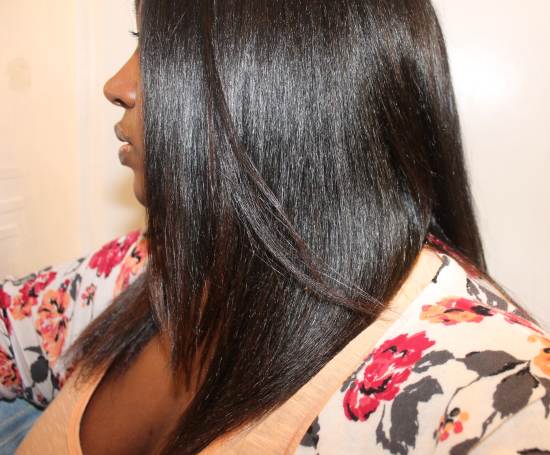 The flat irons can go up to a temperature of 460 degrees which is the setting I used on my hair. The irons also heat up super fast so I had less than a 60 second wait time. They also have an automatic sleep mode which shuts the irons off after 1 hour which is great to consider for safety. The thing that I absolutely love the most about this flat iron is that unlike ceramic the titanium plates use an ion field technology that evenly distributes heat, removes static, and seals in natural oils producing silkier, shiner hair. 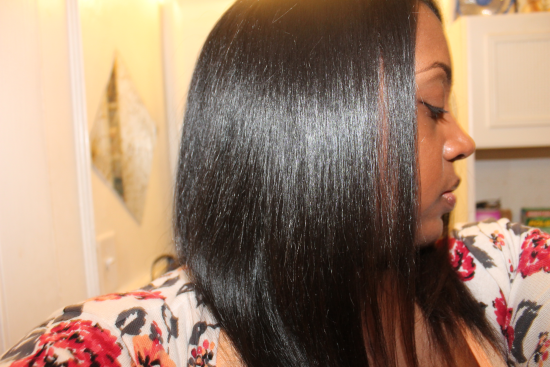 Even as thick as my hair is when blown out I was able to get super straight results on the first application without having to reapply the irons on the same section several times. I also noticed that my hair was incredibly shiny, smooth, and had a lot of body! Glare: None! There's truly nothing I dislike about these irons. The only precaution that I can think of is to just be careful with the temperature settings. I used the max of 460 degrees but only because I know my hair is strong enough to handle it. 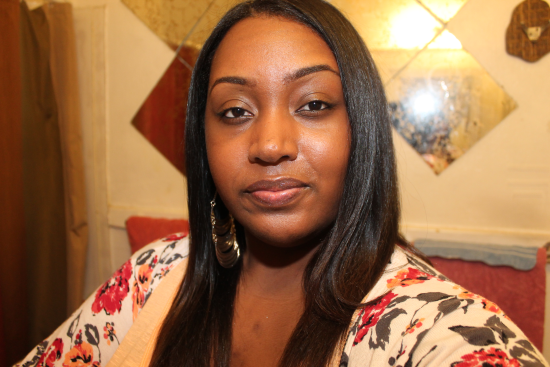 If you have finer hair then of course you would want to use a lower temperature setting. Would I Recommend It? I definitely would! With all honesty, after wearing my hair curly for 4 months straight I was a little skeptical on just how straight I would be able to get it. I must say that I'm very pleased with the results! For natural hair I highly recommend using an iron like Karmin with titanium plates. 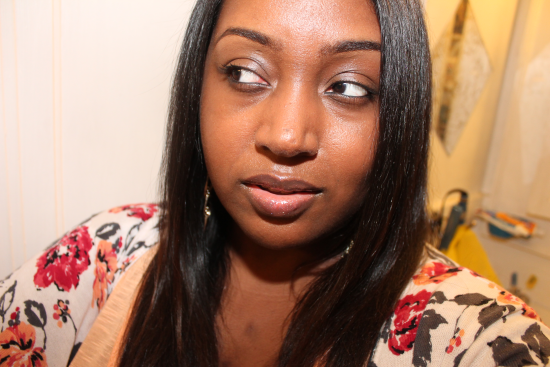 The bottom line is they get you the results you want and won't damage your hair in the process. 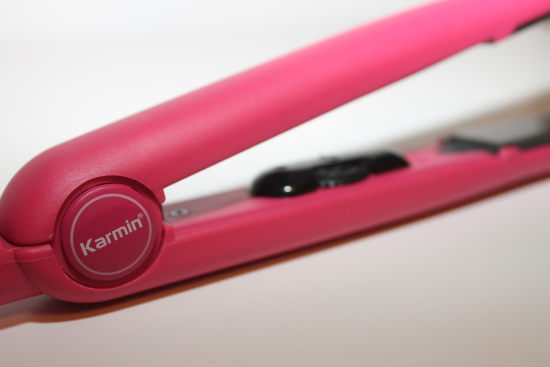 Where To Buy: The Karmin Titanium Professional Flat Iron comes in black and pink and currently retails for $89.98 at Hair Products Pro. To purchase or to learn more please visit http://hairproductspro.com. Your hair looks Perfect! I would like to have one. Thank you ^_^ Titanium is the best! I want one now! Yep! Will be gettin this to straighten my hair!! ooooh let me know how you like it!!! You should check out Babyliss too, that was my first Titanium iron it works just as good too!